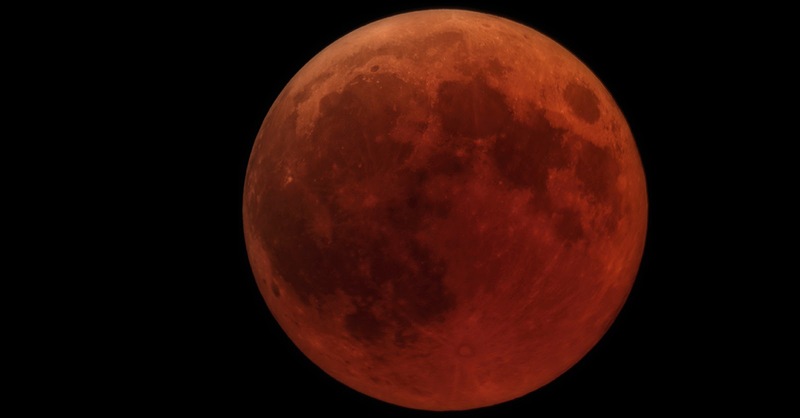 Image source: Giuseppe Donatiello from Italy - Lunar Total Eclipse on July 27, 2018 (100_2006), CC0, https://commons.wikimedia.org/w/index.php?curid=71222333. From a 1916 Anthropology paper written by one Aurelio P. Arguelles1, we get yet another all–but–forgotten Batangas legend which people of province during the Hispanic and early American colonial eras – and maybe even earlier – told the young not just to pass the time but also likely to try to explain what must have to them seemed like mysterious natural phenomena. The paper in most likelihood was submitted by Arguelles as a requirement to an Anthropology course at the University of the Philippines, where the Anthropologist and Ethnologist Henry Otley–Beyer was a professor2. Similar papers were archived by Otley–Beyer and these are now digitized and available at the National Library of the Philippines as a rich source of information about Filipino culture in general during the American colonial era. According to Arguelles, a lunar eclipse was typically explained as “nacain ng laho” (the moon was eaten by laho). He hypothesized that “laho” was, in fact, a mispronunciation of the name Rajo (pronounced Raho the Spanish way), the giant in the legend that he narrated. This hypothesis is best taken with a bit of caution since the word “laho” also means to disappear, which is exactly what appears to happen to the moon during a lunar eclipse. The legend is provided verbatim below or as Arguelles himself wrote it, with corrections made for grammar and annotations given where necessary. Many years ago, just after the great deluge3, there lived in Mount Macolot [in Tagalog as in other Philippine languages, the “o” is often pronounced as a hard “u,” in which case read out loud, Macolot sounds exactly the same as Makulot, the mountain’s contemporarily accepted spelling.] several gods who were then the rulers of the world. These gods lived very luxuriously. Their tables were full of all kinds of fruits, meat and precious liquors. Among the liquors used by these gods, there was one kind which was extraordinarily delicious and sweet. This particular liquor was so rich in taste that the gods decided not to reveal the method of extracting the liquor lest the rest of the men in the world would imitate them [i.e., the gods]. But it so happened that at the nearby mountain [opposite Makulot across the lake are several mountains], there lived a giant who once had tasted that liquor and since that time was much interested in discovering the method of [its] extraction. One night this giant, whose name was Rajo, stealthily went to Mt. Macolot and looked over the place where the gods were extracting the delicious liquor. He discovered how the method of process or doing it [i.e., the liquor] and with great satisfaction, Rajo went back creeping to his home. Nobody saw him in this expedition, except perhaps the bright moon. The next day he tried if he could make a liquor of the same kind and he succeeded. At the height of his mastery, he called several men, friends of his, and told them the process of extracting such kind of liquor. Soon, the use of the delicious wine [Arguelles used the word “wine” in lieu of “liquor,” but the two are not the same4.] was universal. On all tables, there was wine of this kind. The gods, upon knowing this sad truth, were bewildered for they could not understand how men came to know the process of making it. They investigated but it seemed in vain. At least, the moon betrayed Rajo. The gods turned to Rajo and were greatly enraged. Rajo was also very angry, in turn went over to the moon and in an instant swallowed it up. 1 “Batangas Folktales,” part of the Henry Otley–Beyer Ethnographic Collection, online at the National Library of the Philippines Digital Collections. 3 The myth of a “great deluge” is not only Biblical but is also told in many cultures the world over. 4 Wine is made by fermenting fruit juice and has lower alcohol content that liquor, which is distilled. “Difference Between Wine and Liquor,” published 2017, online at DifferenceBetween.com.